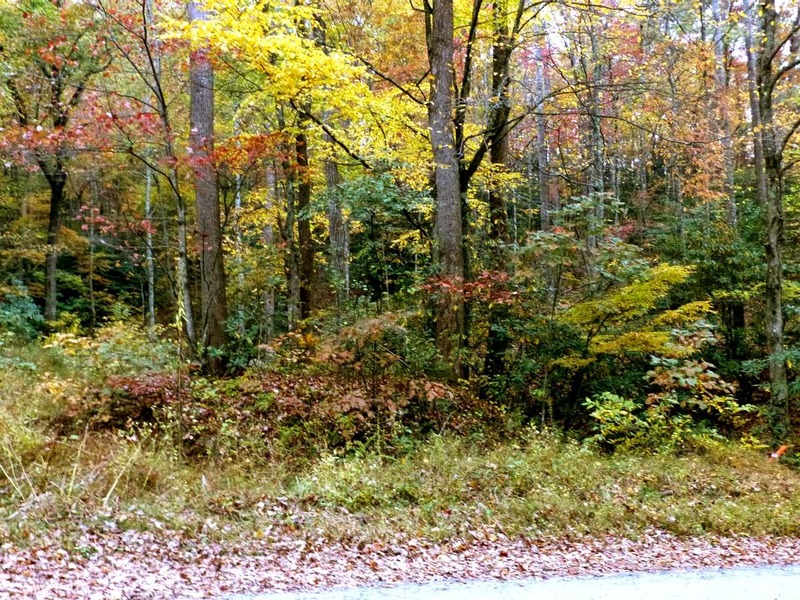 Welcome to Week 4 of our fall color reports for our area of the North Carolina mountains near Asheville, Black Mountain, and Old Fort! Last week, the annual fall colors slowly descending down the mountains seemed to be stalling just a bit, with most of the color concentrated at elevations above 3,500 feet. However, with overnight temperatures turning much cooler (bring layers to wear when you come to stay with us), that seems to have sped up the color change below 3,500 feet, including our neck of the woods. Our road is quite beautiful right now! 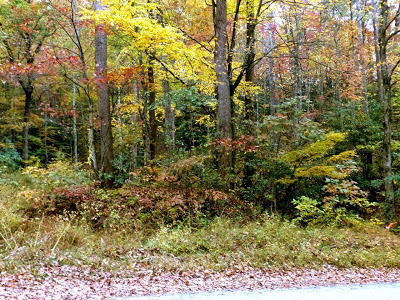 The highest elevations along the Blue Ridge Parkway that contain deciduous (non-evergreen) trees are heading past peak, and traveling the Parkway over the next week or so will give you the opportunity to look at the colors progressing down the mountainsides below you. Note, however, that the weather changes on a dime this time of year, so prepare for clouds to roll in at a moment’s notice or for the temperatures to drop quickly as you’re driving along the Parkway. Do keep in mind that it is not unheard of for high elevation points like Mt. Mitchell and the Craggies along the Parkway to see snow at the end of October! 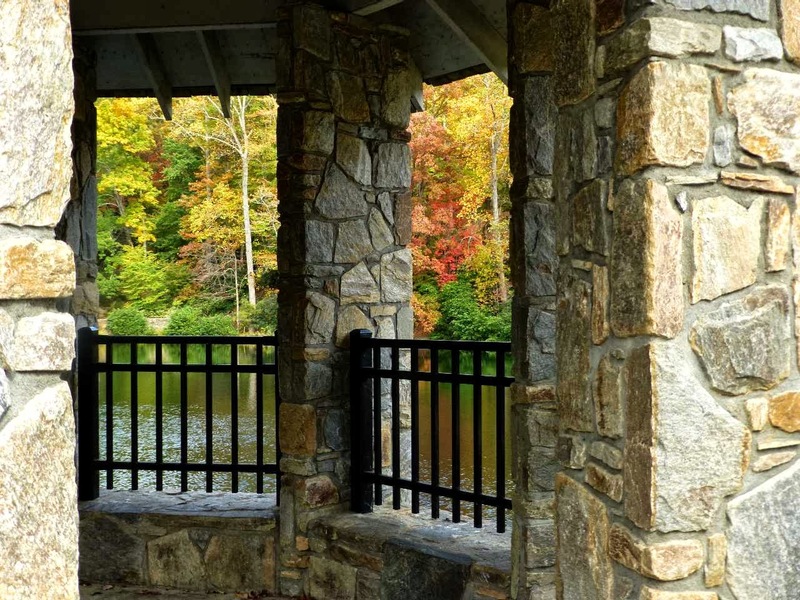 The Town of Montreat: After lunch in Black Mountain (or before dinner), take a leisurely stroll around the half-mile loop of Lake Susan in Montreat, a picturesque little town just north of downtown Black Mountain. 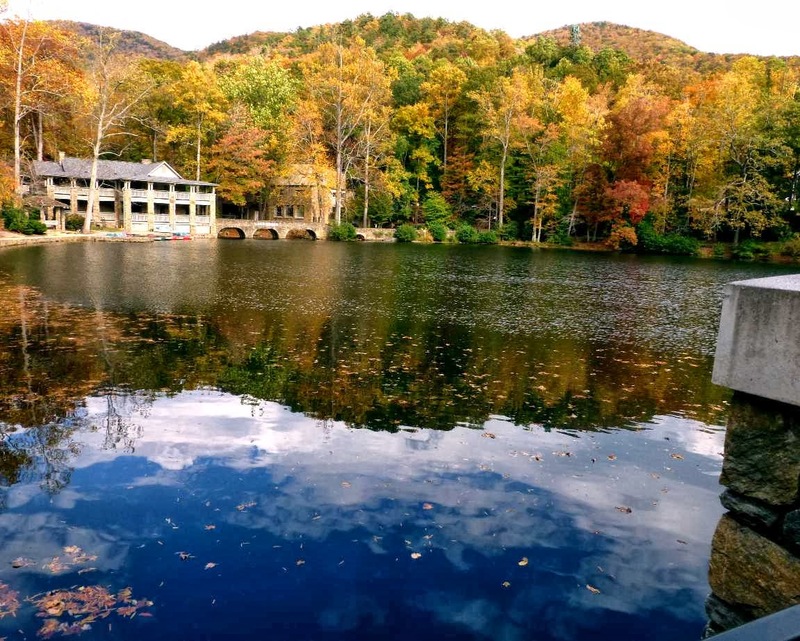 Montreat is home to Montreat College and also has a conference center and residences, but we like it for the lake and the very extensive and well-maintained trail system. 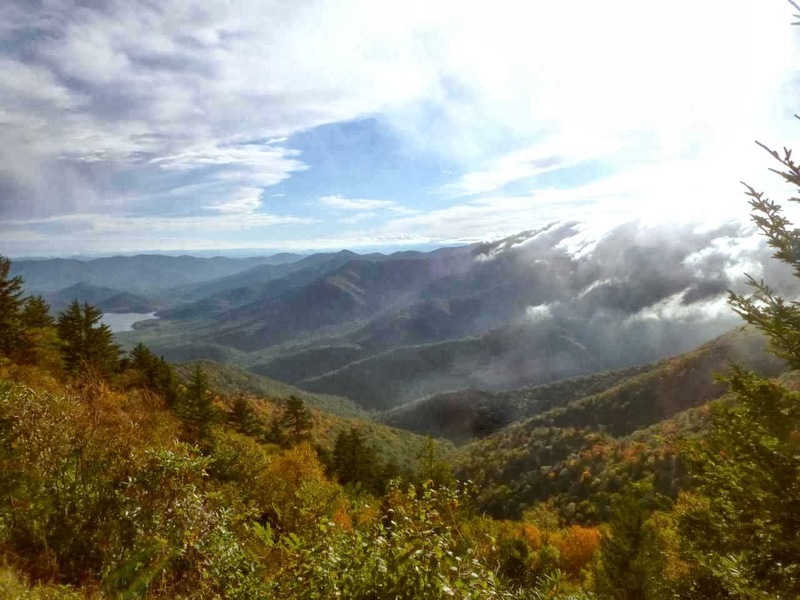 If you want a good fall color hike this time of year, we suggest Lookout Mountain. See us for trail maps when you stay at the Inn on Mill Creek B&B. Biltmore Estate: While not at peak color yet on the Estate, you will see gorgeous color in the gardens thanks to the talented landscaping staff at Biltmore. 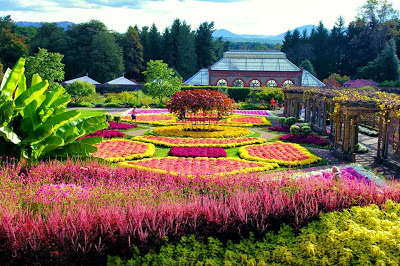 And be sure to head out onto the South Terrace when you’re at Biltmore to view some gorgeous mountain scenery. North Carolina Arboretum: The NC Arboretum, located just south of Asheville about 45 minutes from the Inn on Mill Creek, is accessible via Highway 191 or the Blue Ridge Parkway. With more than 430 acres and 10 miles of trails, including a beautiful trail along Bent Creek, you’ll definitely be enveloped by nature. And as an added bonus for geeks like us, they currently have an exhibit of large LEGO sculptures done with a nature theme. More than 500,000 LEGOs were used to create the sculptures by LEGO Certified Builder Sean Kenney. This entry was posted in Uncategorized and tagged Asheville, Autumn / fall foliage, Biltmore, Black Mountain, Blue Ridge Parkway, hiking, Montreat by Inn on Mill Creek. Bookmark the permalink.